The potential for Ireland to become a leading centre for international insolvency, dispute resolution and financial related legal services within Europe - a significant theme in the forthcoming Financial Centres Summit - has been underscored by Chief Justice of Ireland, Frank Clarke. 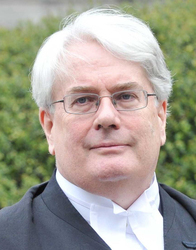 In a recent address delivered at the Fordham University School of Law in New York Justice Clarke emphasised that following the UK's departure from the EU Ireland would be the only remaining member state whose legal system could reasonably be described as being fully in the common law tradition (Cyprus and Malta also have significant common law traditions). The ordinary language of the Irish courts would continue to be English and the decisions of Irish courts would continue to be easily enforceable throughout the EU, he added. But the Chief Justice also cautioned that Ireland was not 'the only show in town'. The Paris Commercial Court had created a division in which it is now permissible to plead in English and Dutch and German courts were considering ways in which they might facilitate any litigation which may be lost to London post Brexit. 'There is little doubt but that Ireland will have competitors but in my view we, in the Irish legal system, are very well placed,' Justice Clarke said. He asserted that neither the Irish courts nor Irish litigators would be found wanting if called on to take on significant additional international work. The Dublin Commercial Court had established a high reputation for its ability to handle complex international litigation in a highly efficient way and the experienced members of the Irish Bar ranked alongside those from the UK as amongst the most effective litigators in Europe. 'Also, both the Irish High Court and the Irish Bar have higher numbers per head of population than the UK so that there is a capacity to absorb a material increase in the amount of work,' he said. Justice Clarke cited two specific examples of potential for growth. While the UK had established a very substantial place in the market for international insolvency litigation much of this success stemmed from the fact that, under the Insolvency Regulation, orders made by UK courts carried throughout the European Union - and this was unlikely to be the case in the future. Ireland, on the other hand, has in its examinership corporate recovery model a system which is perhaps closer to Chapter 11 than the UK system of administration. 'I think I can safely say that the Irish examinership model would provide at least as an effective means of dealing with cross European insolvency as the UK administration system has to date,' he said. The recent additions of Irish and French versions of the standard documentation used by the International Swaps and Derivatives Association (ISDA) was also evidence of the significant opportunities for Ireland in the legal sphere afforded by Brexit, he said. Justice Clarke was speaking at an event hosted by Fordham University School of Law in conjunction with the school's Ireland Law Students Association and its Ireland Summer Program. The Chief Justice’s remarks are timely in light of the growing awareness of Ireland's post-Brexit potential in the fields of international dispute resolution and European financial related legal services. These will be discussed in detail at the morning session on Professional Services Opportunities in Capital Markets & IFS in Europe at the Financial Centres Conference at Dublin Castle on Wednesday 3rd October. In a keynote address the outgoing chair of the Bar Council of Ireland, Paul McGarry SC, will focus on Ireland's opportunities as a Common Law Jurisdiction in EU27 after Brexit. The session will also be addressed by leading Irish, English, French-licenced and US lawyers namely Matheson partner Christian Donagh who is head of the firm's derivatives practice and regularly advises Irish corporates and their counterparties in relation to ISDA master agreements and collateral arrangements; Ed Nalbantian, a partner in Jones Day, the French Counsel of ISDA; and Philip Hackett Q.C., who?specialises in financial regulation, civil and criminal fraud and who has acted in many of the most serious matters investigated by the FCA, SFO and other regulatory bodies over the past 25 years. Nor have the opportunities for legal practitioners to use Ireland as a post-Brexit jurisdiction in which to conduct EU affairs been lost on UK-based law firms, many of which have already announced and progressed plans to establish significant Irish presences and this is a related theme which speakers will also address at the conference. This article appeared in the September 2018 edition.